Take an aerial tour of the Netherlands in this fantastic drone video by OCdrone. The video beautifully captures some of the landscapes and seascapes of this country on the great North European Plain. It includes bird's eye views of the Dutch countryside, its North Sea coastline, and its extensive dykes and other feats of hydro-engineering. It also includes some great aerial shots of some fabled Dutch windmills as well as some of the country's quaint medieval towns. 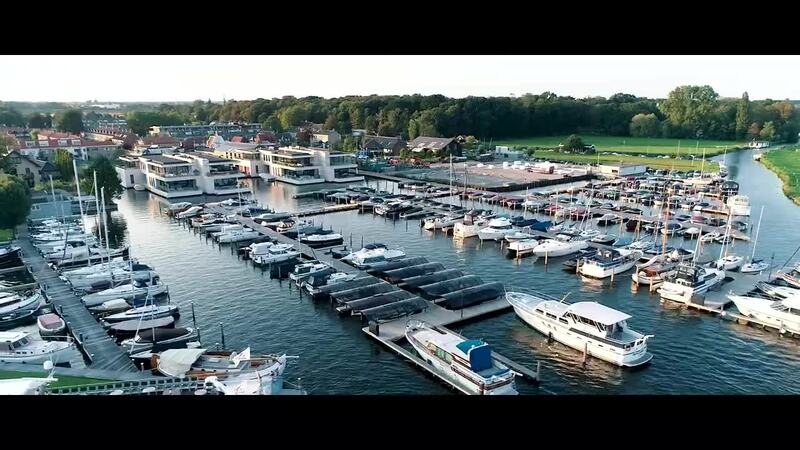 Description: Drone video from Netherlands. All shots were captured on Phantom 4 Pro Plus in the late summer of 2018. The Netherlands is a country located mainly in Northwestern Europe. Together with three island territories in the Caribbean (Bonaire, Sint Eustatius and Saba), it forms a constituent country of the Kingdom of the Netherlands. Netherlands' literally means 'lower countries', referring to its low land and flat geography, with only about 50% of its land exceeding 1 metre (3 ft 3 in) above sea level. Most of the areas below sea level are the result of land reclamation beginning in the 16th century, resulting in large areas known as polders that amount to nearly 17% of the country's territory.